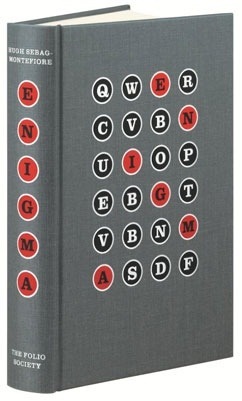 I have just completed reading Enigma by Hugh Montefiore. It details the history of the attempt by the Allies to decrypt the messages of the German military, just before, and during WW2. It is a tale of spies, subterfuge, boffins and hours of hard, and often fruitless, work in which the unlocking of a message that could save or cost thousands of lives. This tale of daring do was brought home to me when we lived in Bletchley, UK. One of the first visits I made was to Bletchley Park – the home of decryption in the war. The unlocking of the Enigma Code played an enormous role in WW2, possibly changing the outcome but certainly shortening its length. The passion and sacrifice of these men and women to defeat Hitler’s ambitions was staggering. Human lives, especially in the UK and on the high seas, depended on their work. There is an even greater battle that we face on a daily basis. It is evil and life denying. It is the person and power of Satan. The battle may not seem so obvious but it is even more deadly than that fought in WW2. Hearts and lives are at stake – the health of our children, families and society. Psalm 1 reminds us that our natural inclination and direction is evil. It challenges us to (in God’s strength) choose wisely and be anchored in the life giving soil and life that comes from God, (in Christ) alone. The Enigma tale has reminded me that if we understand the dangers we can also find the passion and zeal to withstand and conquer them – through a faithful God. This book was the real history, not the Hollywood make believe. Love history and your application to Christian living! !